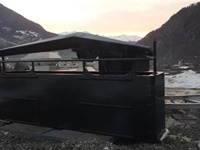 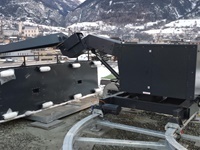 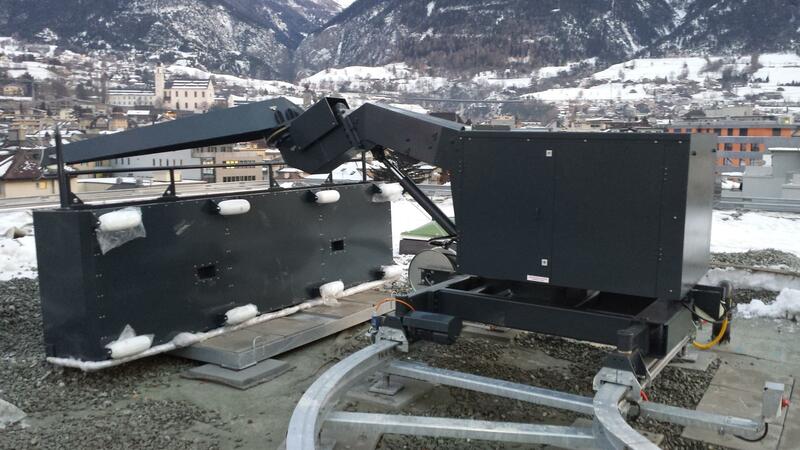 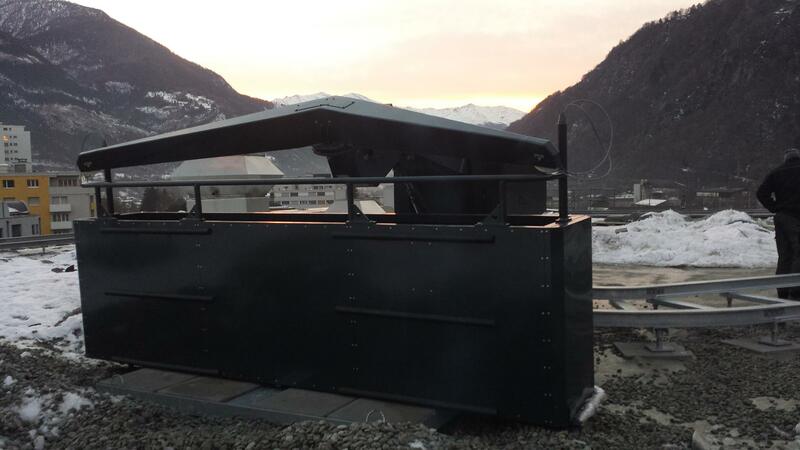 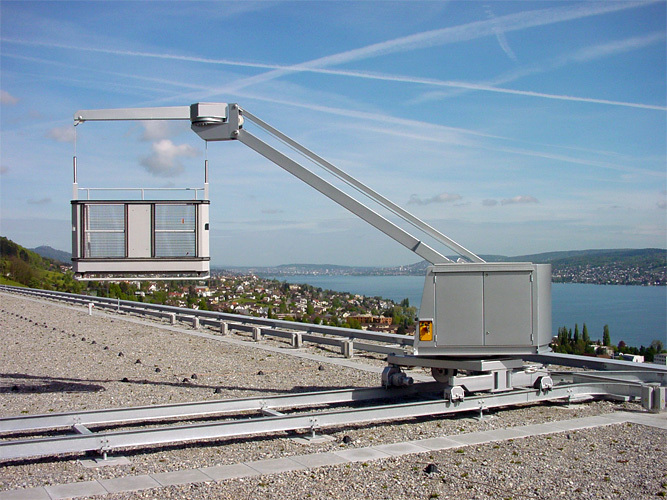 We offer various standard models of BMU generally based on a machines running either on a twin steel track system or on a cast in-situ reinforced concrete runway. 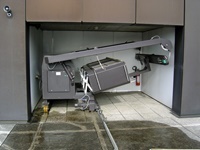 Machine size in generally determined by the maximum reach required but also by other factors such as the space available. 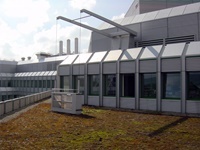 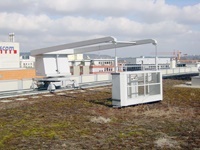 Standard BMUs are designed for relatively simple facades and roof geometries. 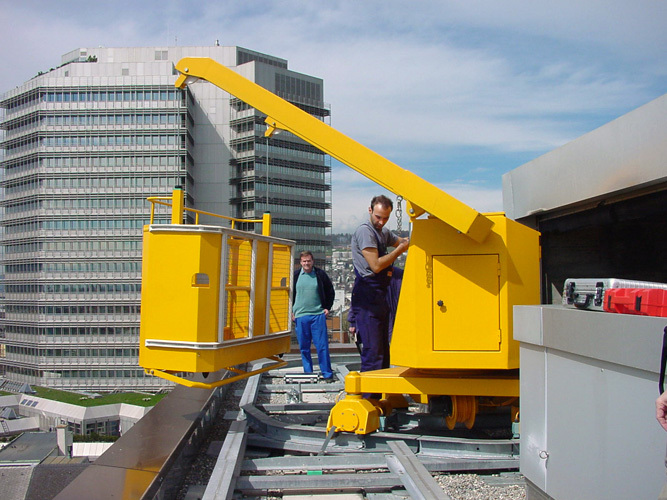 Jibs can be fixed or may luff by means of a hydraulic cylinder. 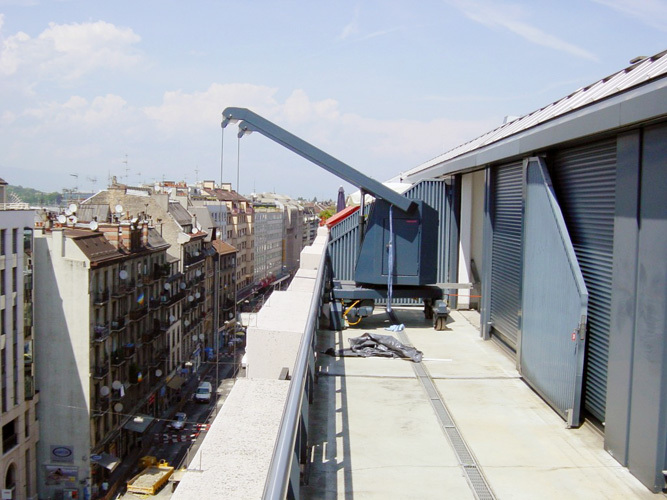 The platform can usually be rotated to enable it to always work parallel to the façade to be accessed. 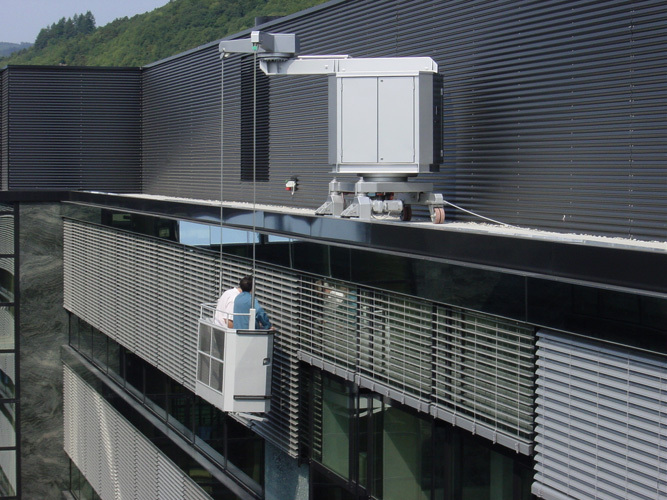 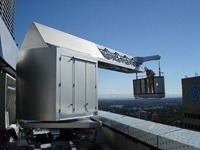 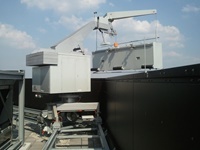 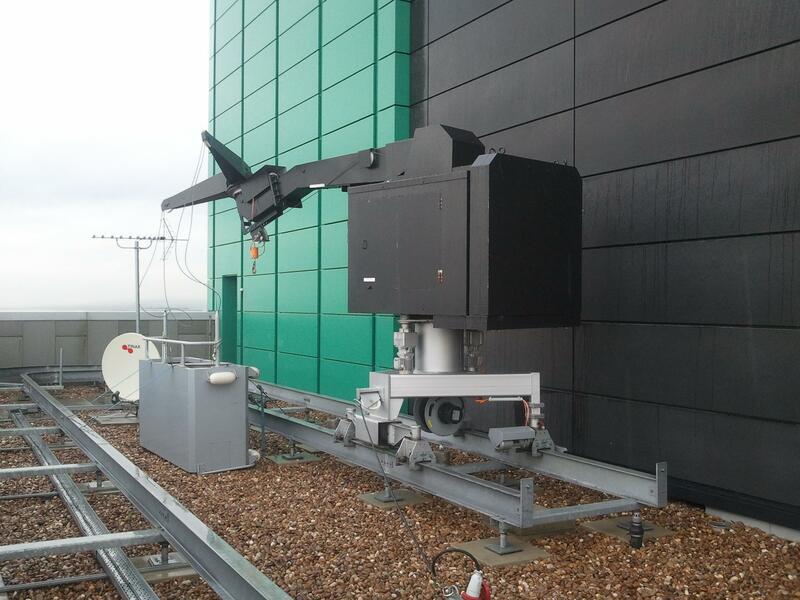 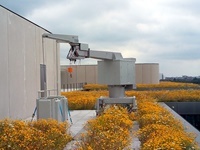 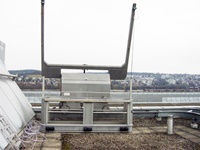 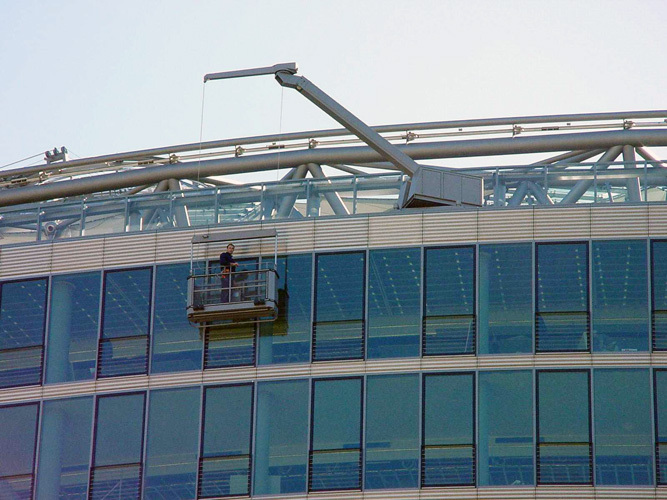 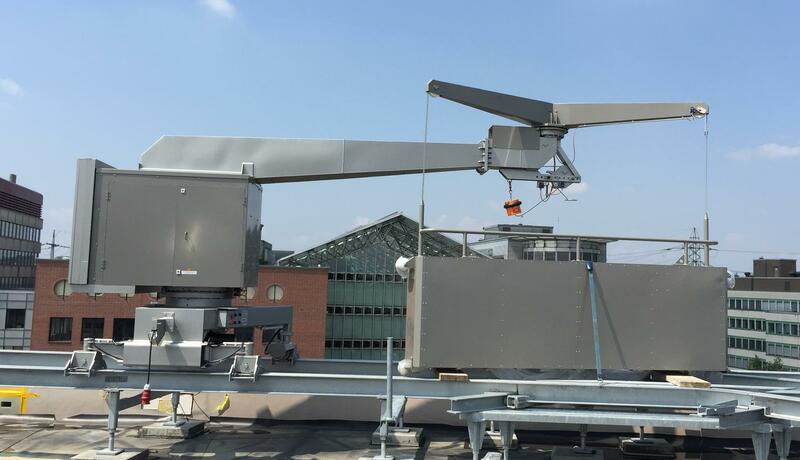 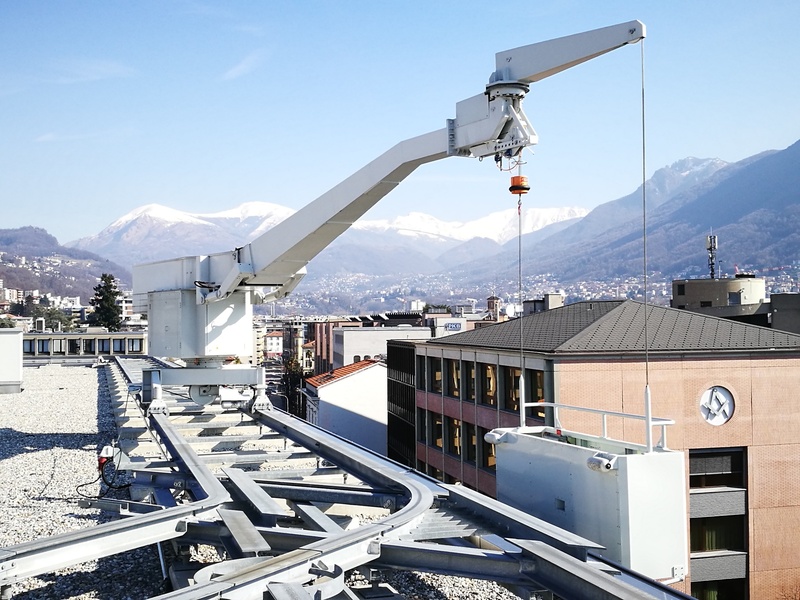 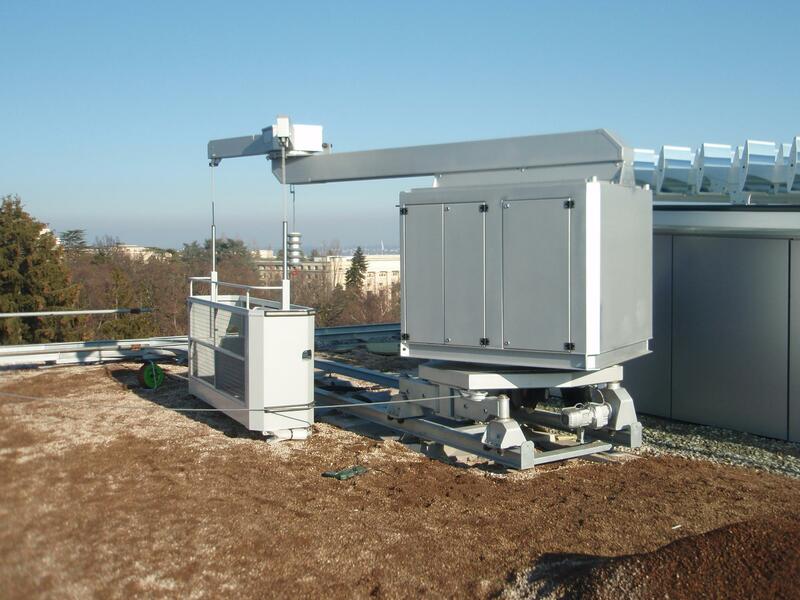 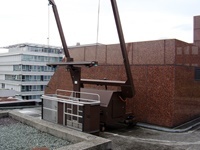 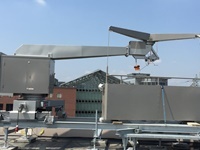 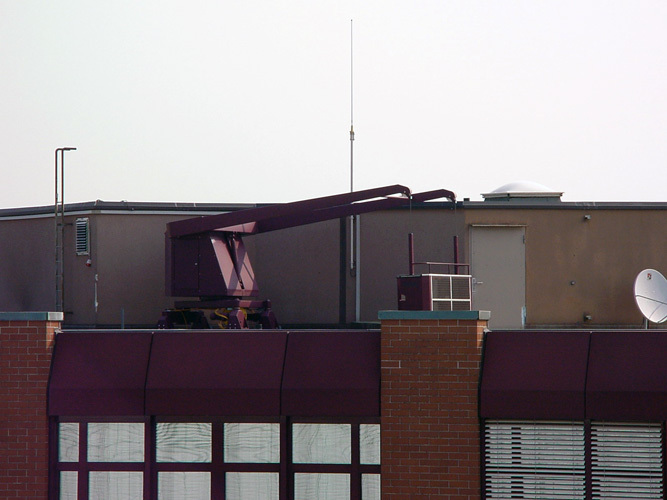 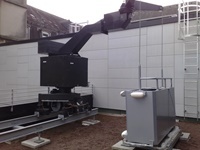 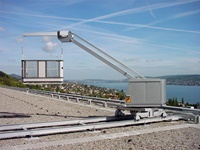 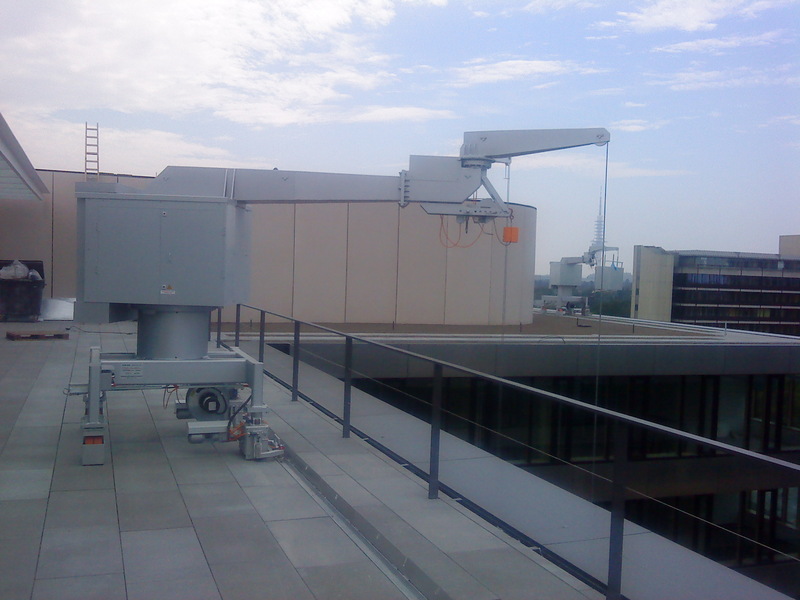 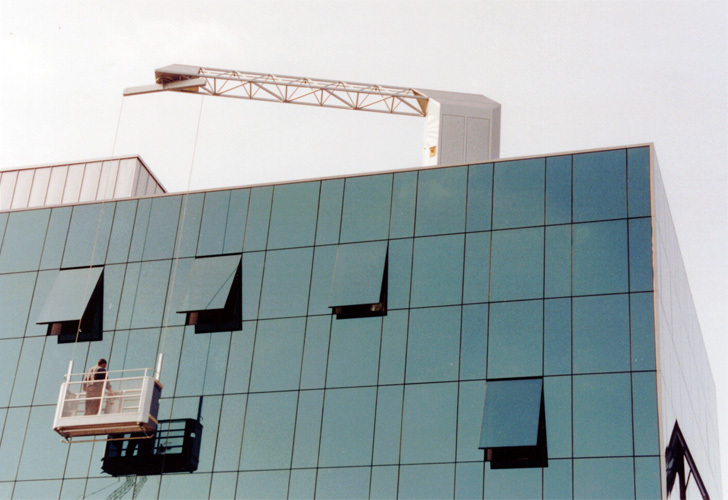 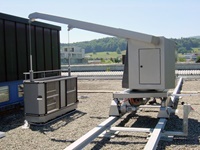 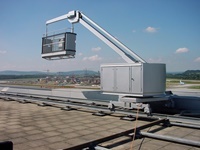 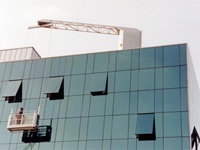 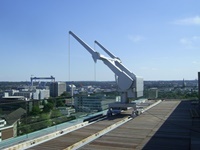 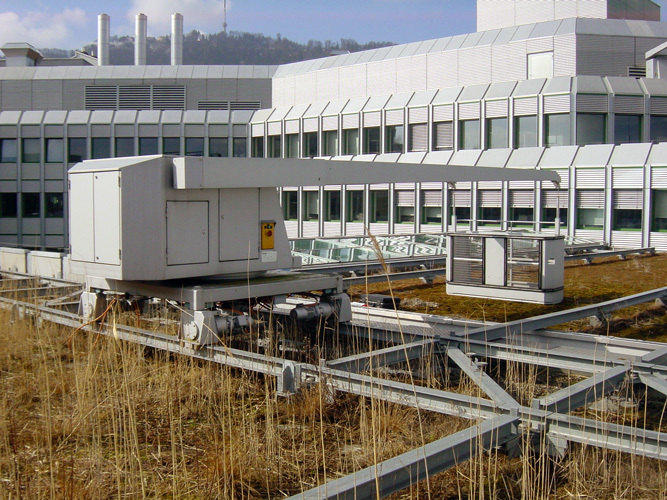 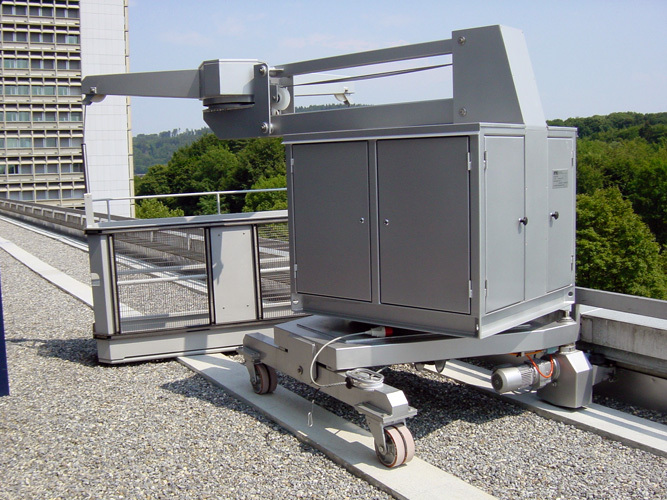 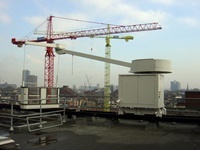 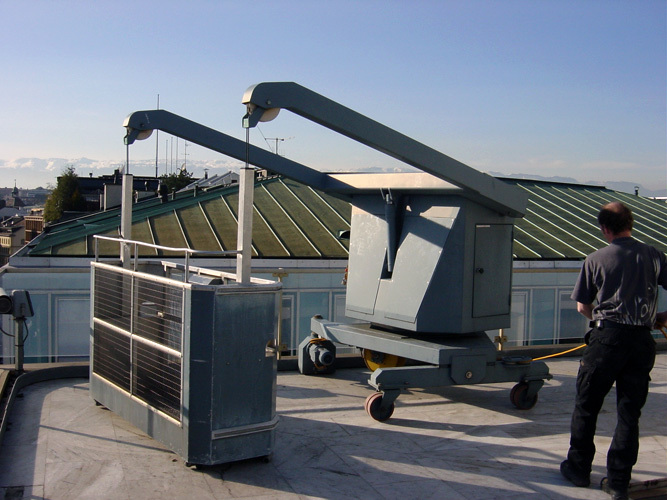 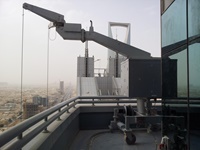 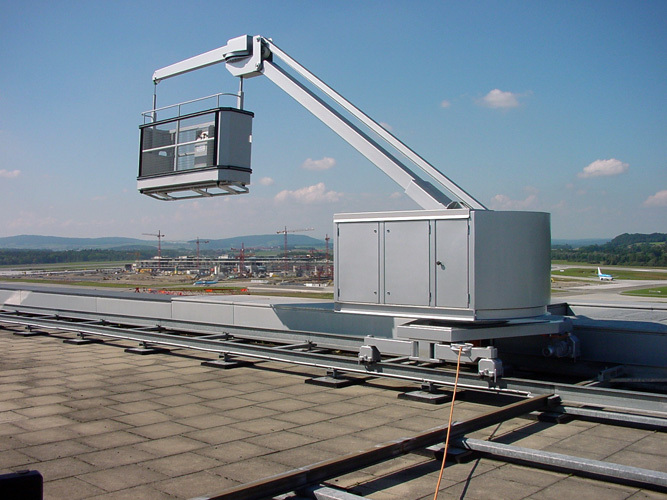 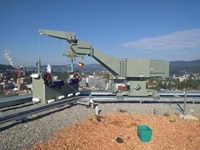 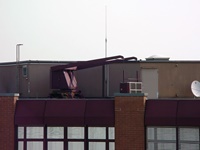 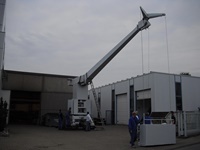 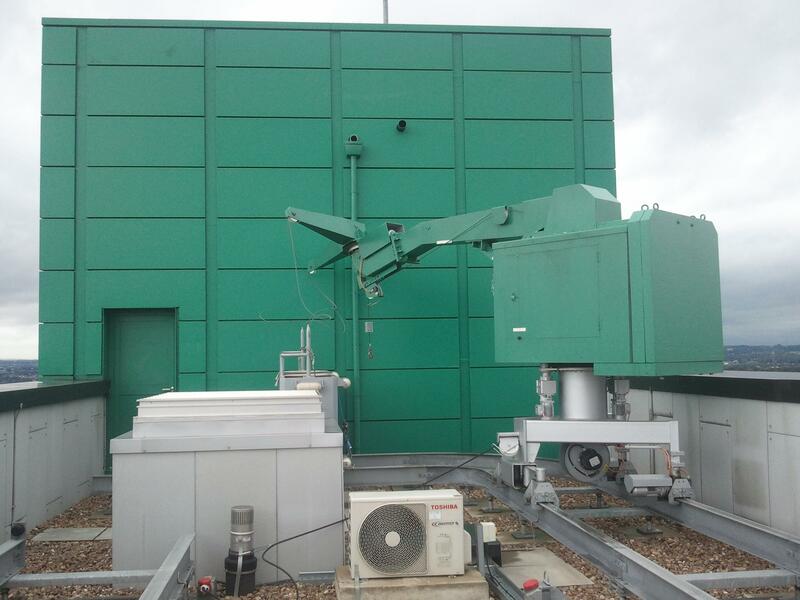 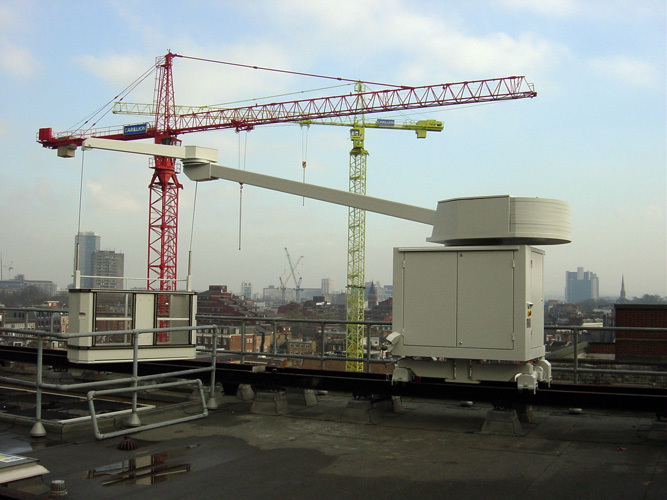 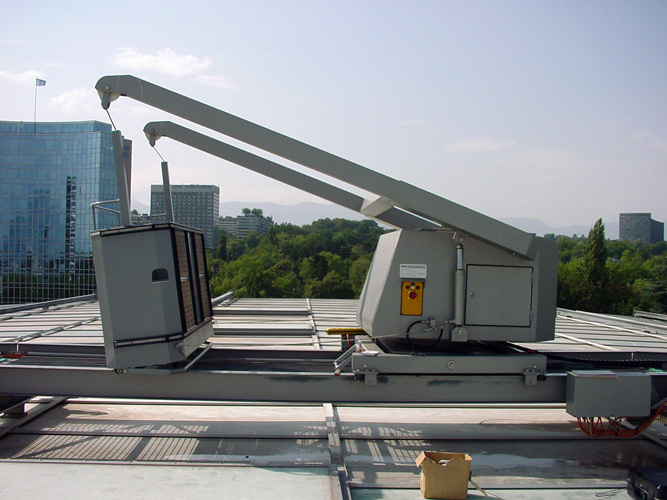 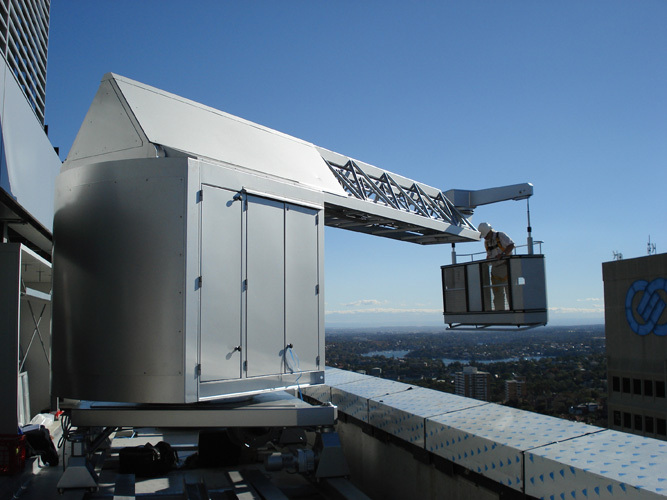 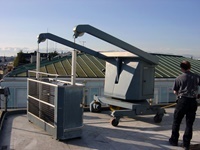 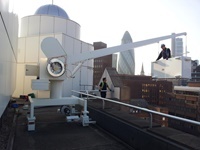 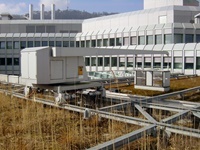 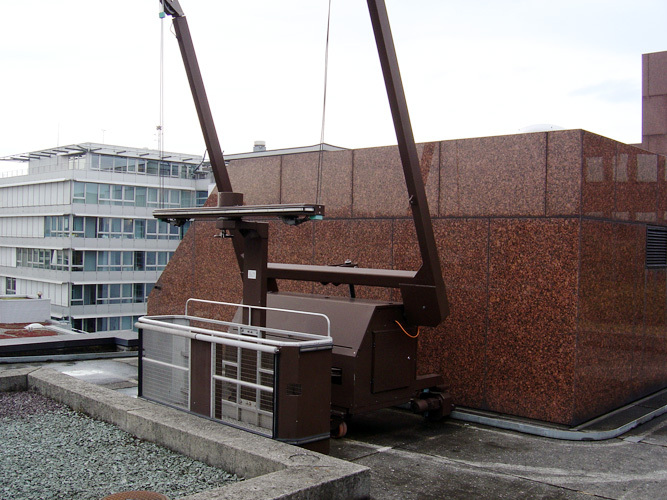 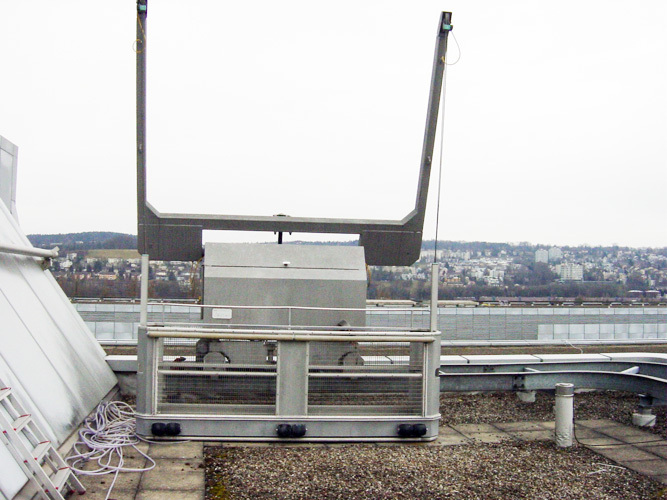 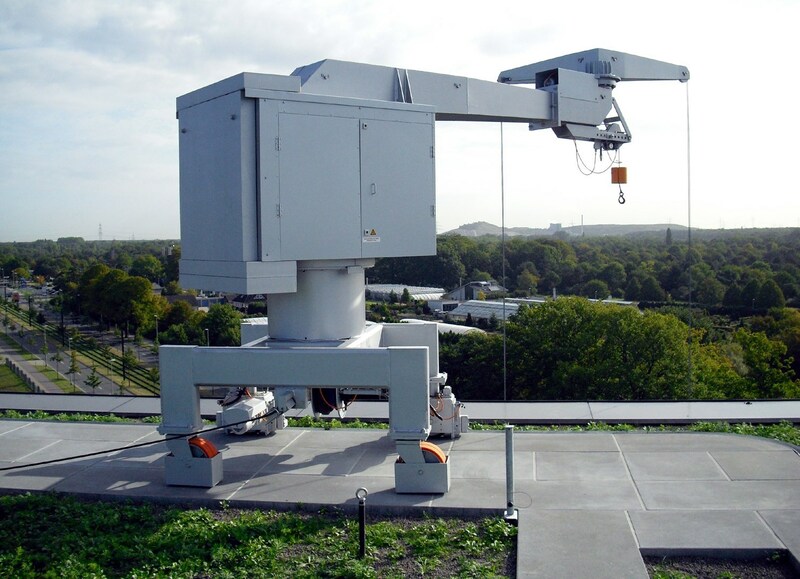 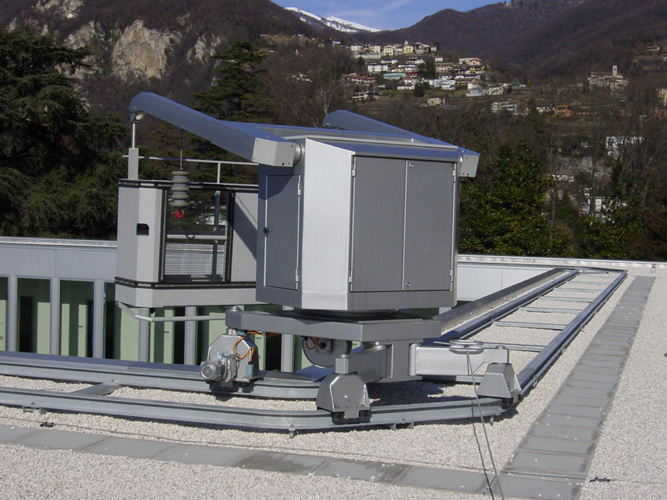 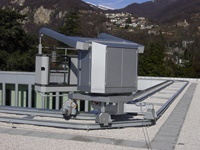 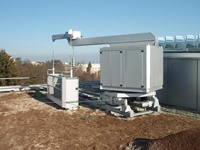 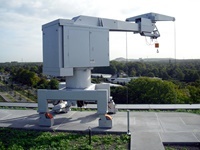 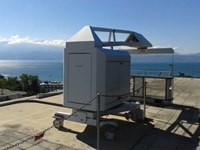 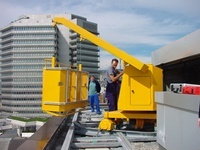 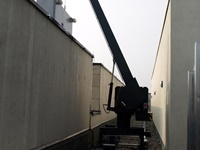 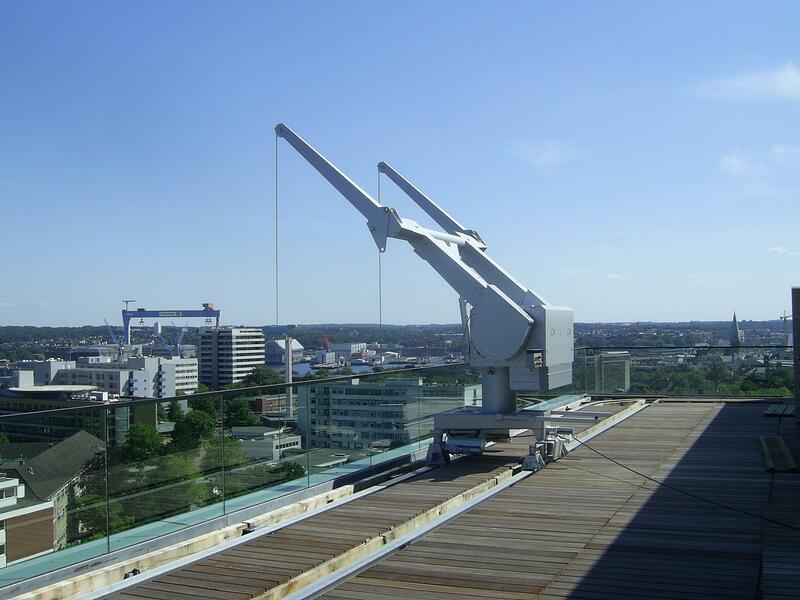 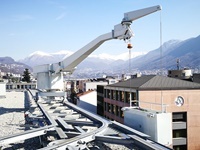 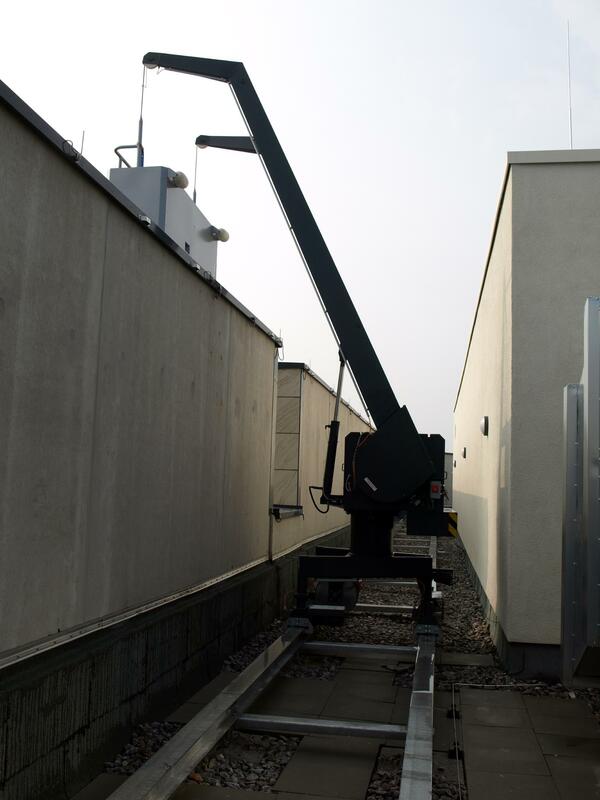 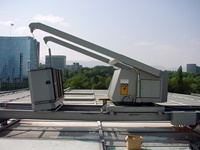 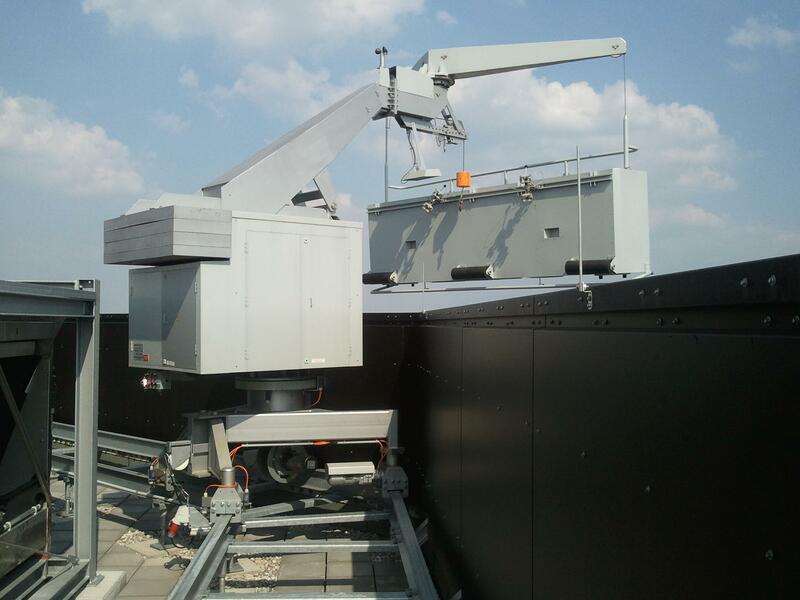 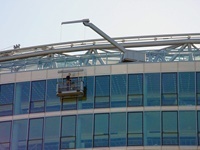 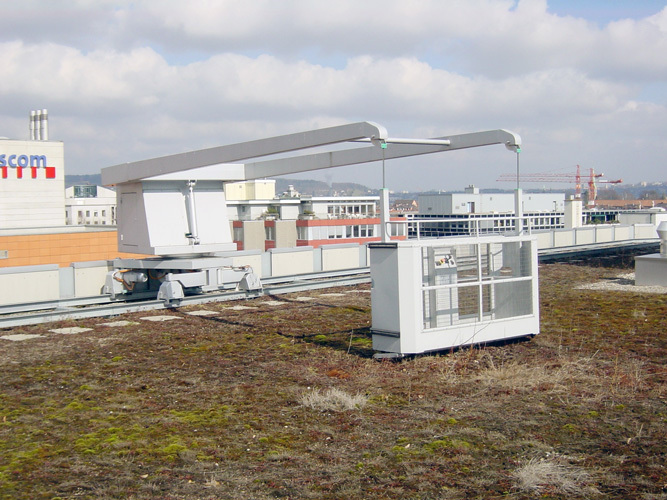 Standard BMUs can incorporate an auxiliary hoist for glazing/cladding replacement and other building maintenance tasks.